Beautiful and sheer Shoulder Veil. This shoulder veil is super sheer as it has no gathering at the comb. It lays completely flat across the head. 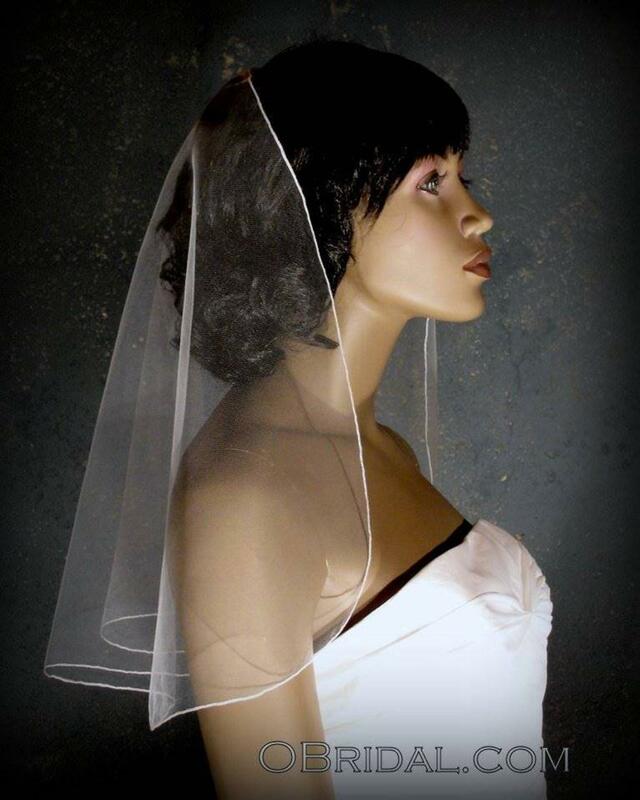 This short mantilla cut wedding veil is best worn right at the crown of the head or lower. 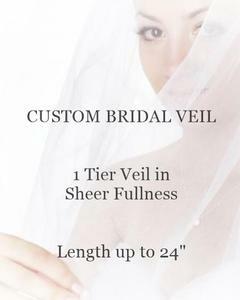 Every wedding veil we make is custom made - so you may select a different length, edging, and basic embellishments for your veil than what is shown.